A property in France represents much more than an investment. For a majority of buyers, it also means a change of pace, a fresh start, a new adventure, or the culmination of a lifelong dream. That’s why FrenchEntrée Property doesn’t just offer one of the most comprehensive online databases in the industry, it also offers the power of experience with a human touch. They are a dedicated team that assists buyers through every step of the search and answer any questions about buying a property in France. Listening attentively is the first step to a successful French property search. First step, a chat with Timothy who is here to help with the first leg of your journey into the French property market. Having spent most of his life living in France, he will help you with any questions you may have about living in France. From where you’re looking to what you need from your new home, this is the moment to share your dreams to make sure we can be there at the right time for you. Most importantly, we will get an idea of what you are looking for, what is important to your property search and when you are looking to buy. This is also the best time to get advice for your search, whether it be that you’re just a little unsure of what area of France to look, or need specific assistance with currency transfers, French mortgages or tax and legal advice. Alexia is a native born French speaker having lived her formative years in Paris and spends time in the South of France where her family are based. Being a keen skier from an early age Alexia is delighted to share her knowledge and experience of the Alps. Alexia also assists clients with tailored manoir and châteaux searches across France. Her property background is extensive having run sales and lettings offices in some of the most prime areas of London with first hand understanding of relocation and dealing with multinational clients. 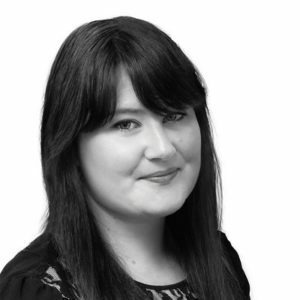 She liaises with our colleagues over in France on a daily basis, allowing clients to either centralise their search to one point of contact or to be put in touch with the most relevant and useful agents for their search. Alexia is excited to combine both her property skills and French cultural heritage to deliver an outstanding service to FrenchEntrée clients. Fleur has been with FrenchEntrée for eight years during which time she has assisted both sellers in marketing their homes to UK and foreign buyers and, in more recent years, working closely with clients to actualise their purchase of a holiday home or permanent home in France. As such, she is well positioned to advise on the property market and buying trends in France. 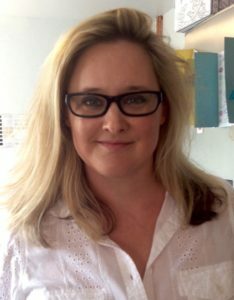 With a broad knowledge of areas of France, she has worked on compiling property selections for the north of France and now specialises in property searches for the South West of France including Dordogne/Aquitaine, Midi-Pyrénées and Languedoc-Roussillon. Fleur will also be able to assist with Paris, Burgundy and the Alps as well as châteaux and vineyard searches. 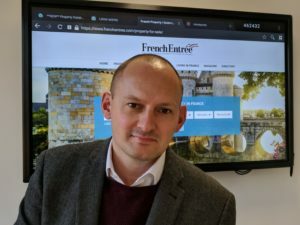 Alistair Lockhart is FrenchEntrée’s bilingual Property Director, with responsibility for growing the property, mortgage and currency business. 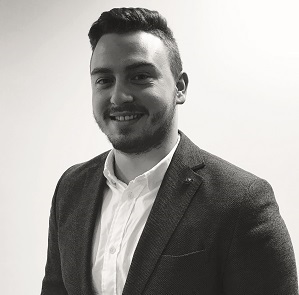 Alistair joined the FE team in Summer 2018, and has an extensive background in French real estate, digital marketing and sales. His passion for all things French began at the tender age of 11 when he began learning the language at school, and was cemented with a school exchange to Flers, Normandy at the age of 13. He came home and told his Mum, “I’m going to live in France one day…” Twenty years later it would become a reality. In the intervening period he studied A Level French as well as French and European Law at university, followed by a spell in corporate UK with PricewaterhouseCoopers and others. In 2001 he met his wife-to-be, and as her parents had been plotting to move out to France for about 25 years, the idea of emigrating was reignited! Alistair and his wife relocated to the Périgord Vert (on the Dordogne/Charente/Haute-Vienne border) in 2004, and spent a glorious 6 years in rural France. As Managing Director of a regional estate agency selling to international clients, he held the carte professionelle for a number of years and grew the business across France into the market leader. Selling hundreds of properties a year, there wasn’t a type of client, property or issue he and his team didn’t encounter! In 2010 he and his family (including two children born in France) returned to the UK. He joined the well-known UK charity Help for Heroes in 2003, established a digital marketing team before becoming became Director of Fundraising, raising over £25m/year. Alistair’s favourite areas of France are naturally, the Dordogne/Charente where he lived and worked, but also the Lot/Corrèze region as well as Normandy where he has family and visits regularly (well, not too regularly, they are the in-laws!). 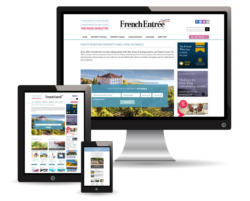 FrenchEntrée works in partnership with a very large number of established and reliable local estate agents in France and therefore is able to email you properties from different agencies, centralise all your questions, and help you put together a viewing itinerary. Having one point of contact will definitely help you save time and confusion. They must be doing something right, judging by what people have to say about the team! “We are very happy with ourselves we’ve negotiated the contracts for Chateau de la Croix and paid the deposit yesterday so were all on track to finalise the sale mid September.